Spell cards, character tokens, miniatures and more for Dungeons and Dragons are on the way from Gale Force Nine. Dungeons and Dragons 5th Edition is upon us, with the starter set already out and the new Players' Handbook hitting shelves on August 19. To help your game run smoothly, Gale Force Nine has previewed several of their new D&D 5th accessories for both players and Dungeon Masters. Spell decks for the new edition, character tokens, miniatures and a DM Screen will all be available, beginning later this month. Gale Force Nine will be releasing six new spell decks for D&D 5th, one deck for each magic-using class. Each deck contains all the cantrips and spells for the class. The first three decks, for paladin, arcane magic, and rangers, will be available in late August. The remaining three, for the bard, druid, and cleric, are due out in late September. The ranger and paladin decks are the smallest, with just 45 cards each, and the arcane deck is the largest at 230 cards. The spell cards are laminated and rigid, and can be written on with dry erase markers. Each deck is color-coded for easy identification and includes the full text for each spell. Gale Force Nine has also revamped its character tokens for 5th Edition. The acrylic tokens, which have a dry erase-friendly front and felt backing, are used to mark status effects such as stunned, charmed, and prone. "For 4th edition, we produced these for each class separately, but with the streamlining of the rules, one single set gives players everything that any character might need to help keep track of during gameplay," says John-Paul Brisigotti, managing director of Battlefront Miniatures. Also included in the token set is a character tile that can be used with dry erase markers, a convenient spot to track hit points and other values that change often. The token set will be available in late August. The final sets of accessories announced by Gale Force Nine are six miniatures and a DM screen based on the first module for D&D 5th Edition. The first module is Hoard of the Dragon Queen, an adventure bringing heroes from all factions together to fight against a cult intent on freeing Tiamat from her prison. The first pair of miniatures are Pharblex the bullywug shaman, and Sandesyl, a vampire moon elf. 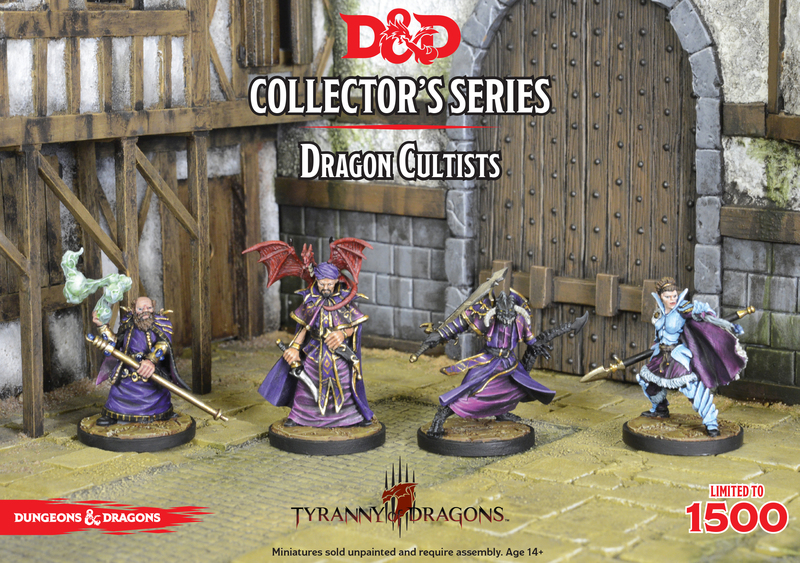 The second set includes four cult leaders from the module. 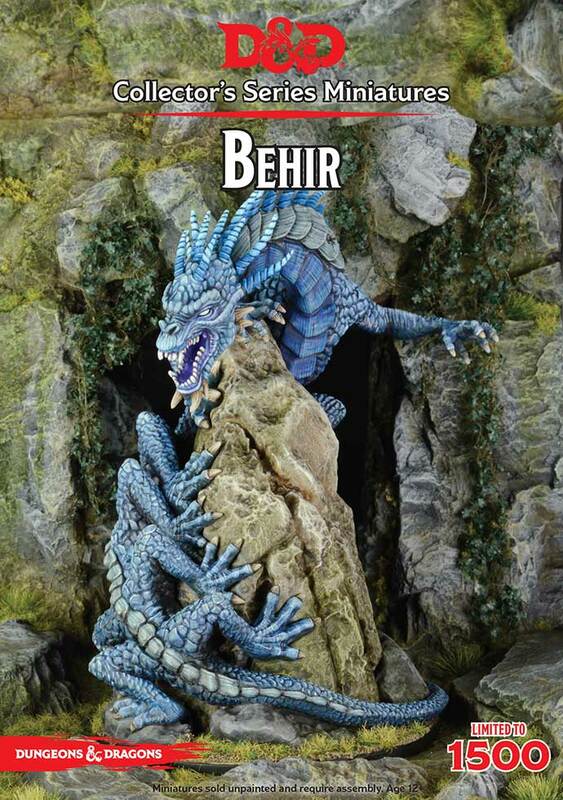 Both sets of miniatures and the DM screen will be out in September. 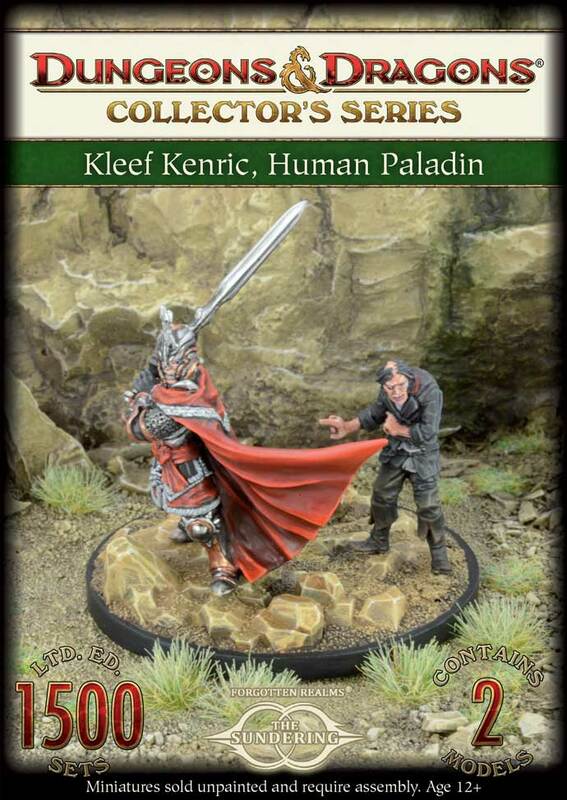 Other accessories on the way from Gale Force Nine include miniatures of large enemies, including the Hill Giant, a Behir, and a Remorhaz. Miniatures based on the multi-author Sundering series of novels and the Neverwinter Online MMORPG are also planned for release later this year. Is this D&D or WH40k? Gods... I'm glad I stopped at 2nd edition. How much of a money sink has this game become? Two out of three groups I've been a part of don't bother with minis. Sometimes we use a map with dice to represent PCs and foes, but I've only got like a dozen minis - and they tend to be harder to find than otherwise. The other group that did use Minis, used minis passed down from their parents - collected over four decades of gaming from the 70's onward. If you recall, the original D&D began as a miniatures wargame and evolved from there - so don't try to bring edition into this. The only thing required to play is the PHB and a set of dice, and even then you could borrow those from someone else if need be. While I personally like the spell decks and see myself getting one if I end up playing a caster, the PHB serves just fine as your spell reference or you can make up your own index cards for specific spells if you so desire. As for minis, the groups I've played in, each player brought their own mini to represent themselves or used one of their unused dice. One DM I had used nickels with different colored stickers on them that were then numbered to represent enemies. So the blue ones might be zombies while red were skeletons, then numbered 1-10 to track damage for specific individuals. $3 total, 2 for the nickels and 1 for the stickers. The minis might certainly look cool on the table, but are by no means necessary.